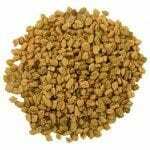 Fenugreek is used both as a herb (the leaves) and as a spice (the seed, also known as methi). 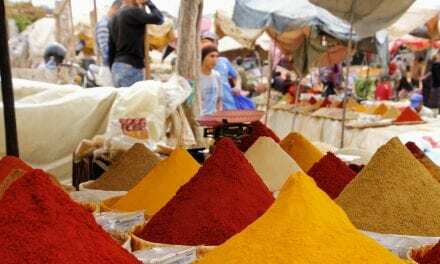 It is a common ingredient in hot curries like bhuna, jalfrezi, dopiaza, madras and vindaloo. 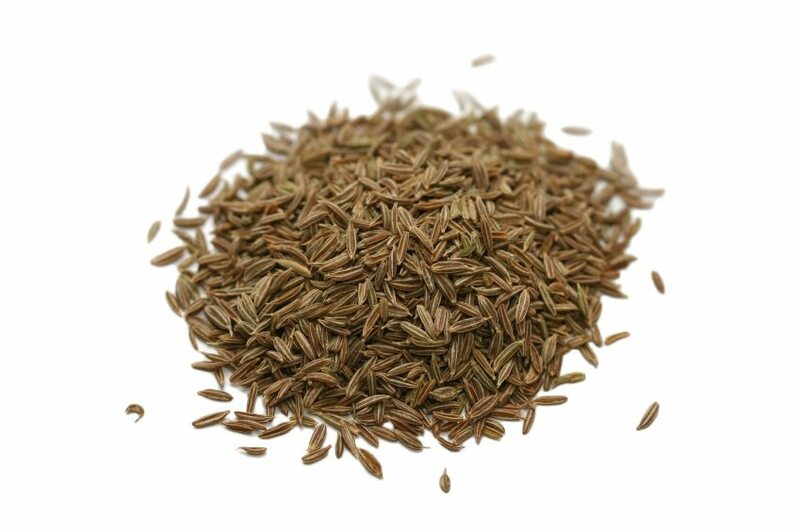 It is used in curry powders like the Indian five-spice mixture panch phoron, and in pastes. 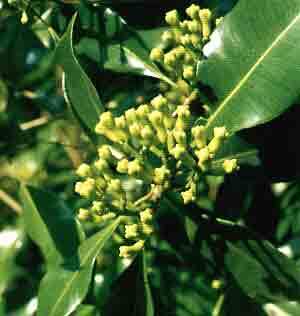 The plant is cultivated worldwide with a large presence in the Mediterranean region however India is the largest producer. The leaves have a bitter, nutty maple-like taste, making them spicy, sweet and bitter all at once and a strong smell. The seeds also have a slightly bitter taste and should be lightly roasted before using to reduce this bitterness. The protein rich, ground fenugreek seeds go especially well with curried fish whilst the leaves are used in meat curries, dhal and vegetable dishes. The leaves also make an interesting addition to any salad as they add an unusual flavour and it is used in many pickles and chutneys. Flour mixed with ground fenugreek makes a spicy bread and in India the roasted ground seeds are infused for a coffee substitute. 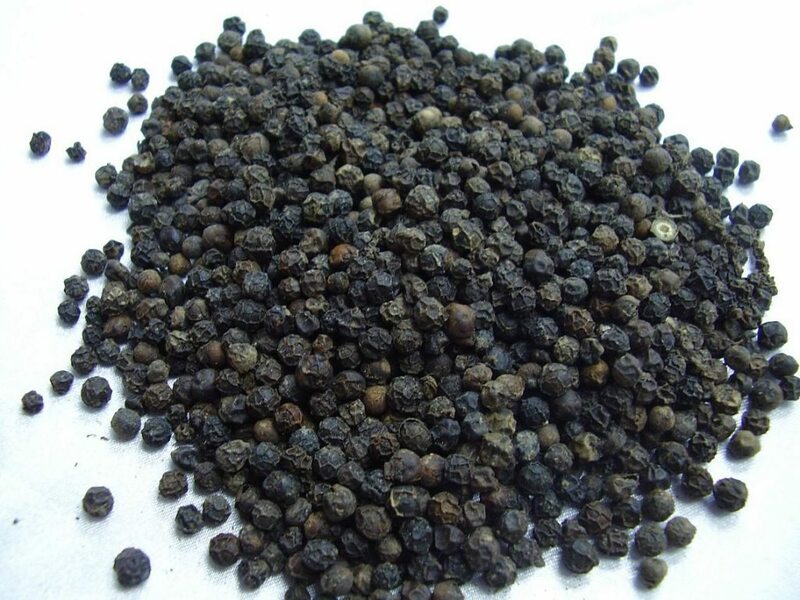 Used as a natural herbal medicine to treat diabetes. In India arthritis has a low incidence rate where a lot of fenugreek is consumed. Drinking a cup of fenugreek tea (made from the leaves) is said to relieve the discomfort of arthritis. 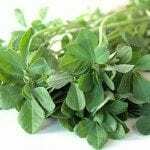 Fenugreek seeds swallowed with warm water first thing in the morning are believed to relieve joint pain. Its powerful antiviral properties also help to relive the symptoms of the colds and sore throats. 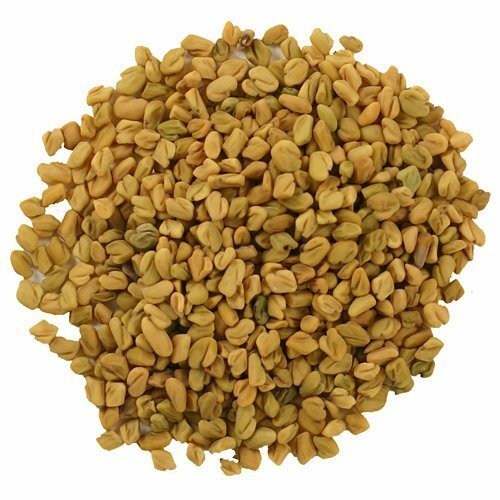 Fenugreek has been used for centuries to stimulate the production of breast milk after childbirth. It is still recommended for use today by new mums and can be bought in capsules from many health food shops.